My beauty product obsession that makes no sense! 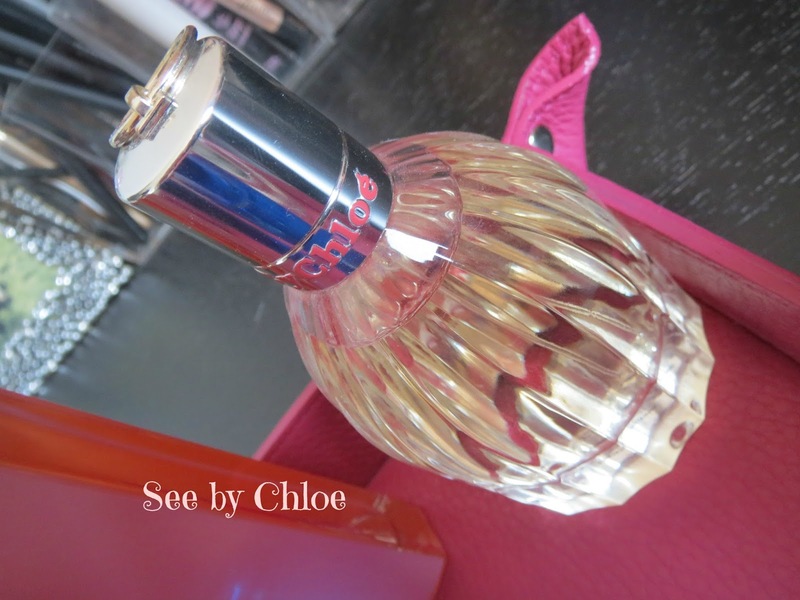 I suppose we could also call this my perfume collection post! Why pointless? Well because I have no sense of smell!! Seriously, I haven't been able to smell since May 2012 following a particularly nasty bout of the flu. On a good day I can catch a top note-the first drop of coffee as it hits the cup or the top note of a perfume but 95% of the time you could put a tub of vicks under my nose and I wouldn't be able to detect even a whiff. It can be quite depressing though-it's amazing how self conscious you become-in fact my perfume collection has grown massively since I haven't been able to smell because I am so obsessed with smelling good. I'm actually seeing a new doctor at the moment and trying some new medication-there has been a little improvement in the past week but things either all smell the same or smell differently to how I remember them! He did say I would need to wait 2 weeks to see if there was any real improvement though so fingers crossed! So how do I pick perfumes? Well I like floral, clean and fresh perfumes. 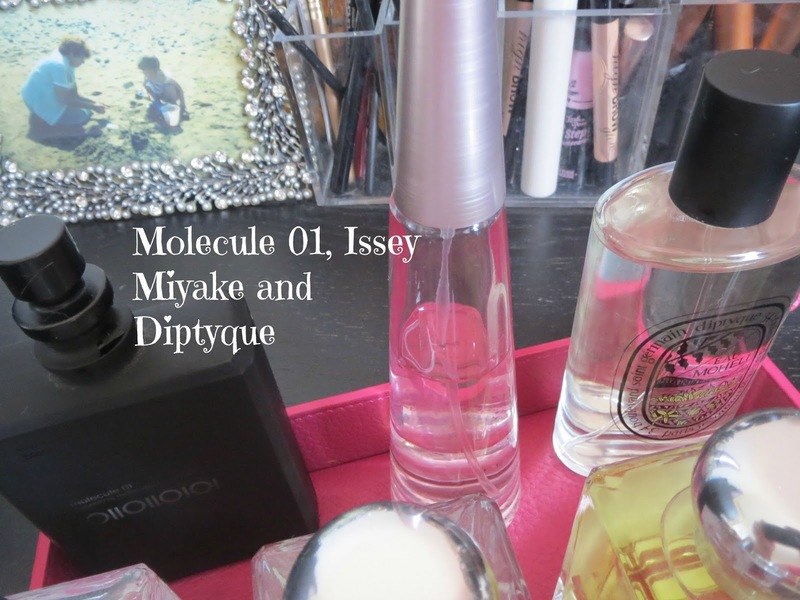 I don't like musky or powdery perfumes. I basically buy off descriptions-the slightest mention of 'an orchard at sunset' or 'a barefoot walk along the beach' and I am sold! 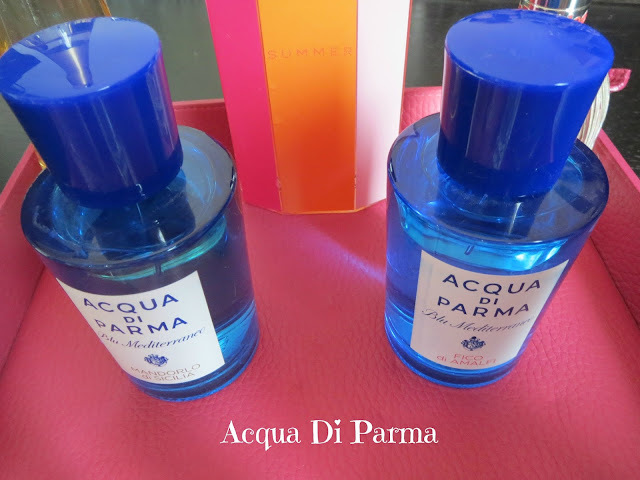 So here is a photo heavy post of my current perfume collection. Many lie unopened at the moment as, with everything, perfume has a shelf life once open of about 12-18 months and there is only so much perfume you can use at one time! My perfumes are displayed in a beautiful leather tray from Lucrin. Lucrin is a french company that produce gorgeous leather goods and ship worldwide. My trays are monogrammed as well with my initials. They're absolutely beautiful and very hard wearing. Mine are made of granulated cow skin and are the 'large miscellaneous holder' in fuchsia. I love the studded details in the corners as well. I am obsessed with monogramming! Love the details on these trays. 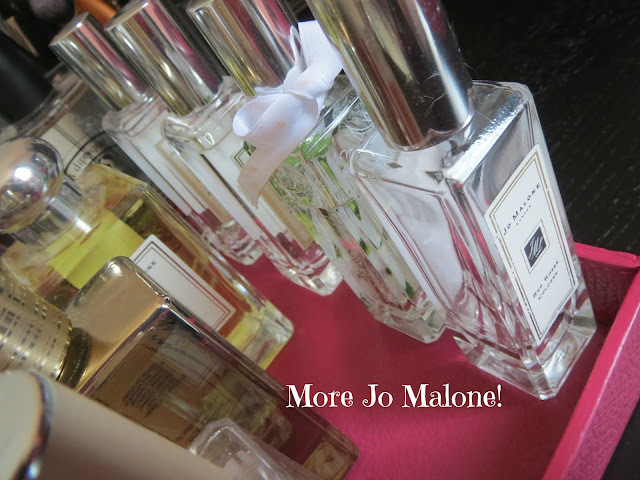 When Jo Malone released this collection in Spring this year I went absolutely crazy and bought 2 of everything! They all work SO well together and layer up really nicely (I've been told lol!) Ginger Biscuit is my absolute favourite and one I can actually smell! I wish Jo Malone would release this in the permanent collection. My best friend Danielle loves this scent too. 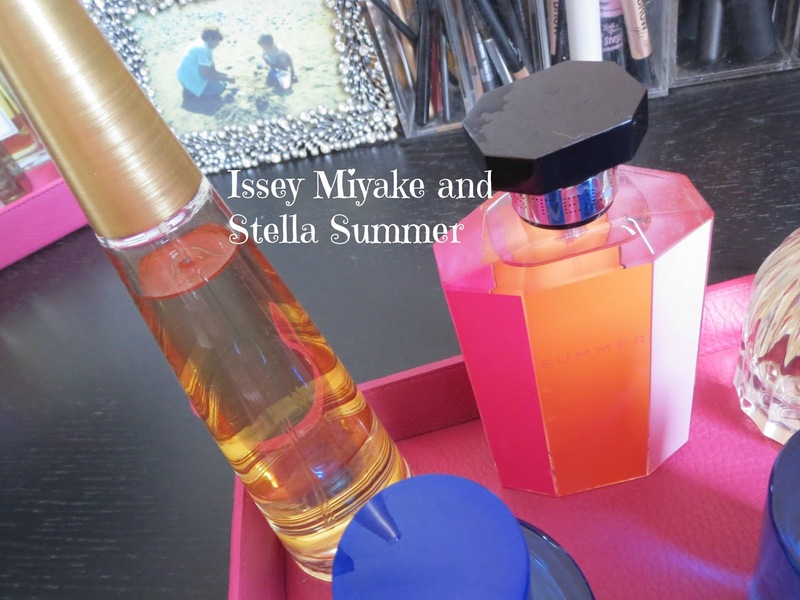 Issey Miyake has been a long long time favourite and so a safe bet! There was a point last year that I could pick up one note in it but it was quite musky and it made me feel unwell. This week I have been picking up the top note I love so much again! 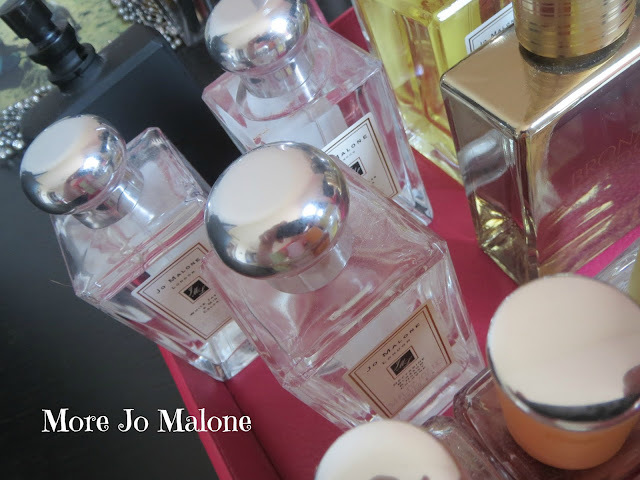 The top note of Jo Malone red roses is so lovely I think. But none of the boys in my office like it when I wear this perfume! 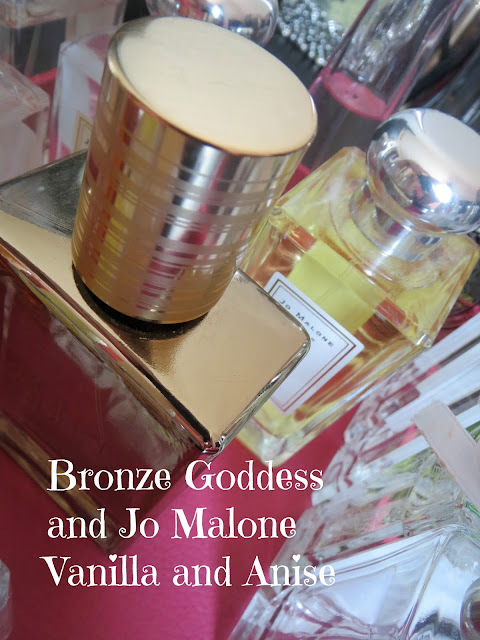 When Estee Lauder re-released Bronze Goddess this summer I had to have it given everyone was saying it was like holidays in a bottle! I am so easily led! 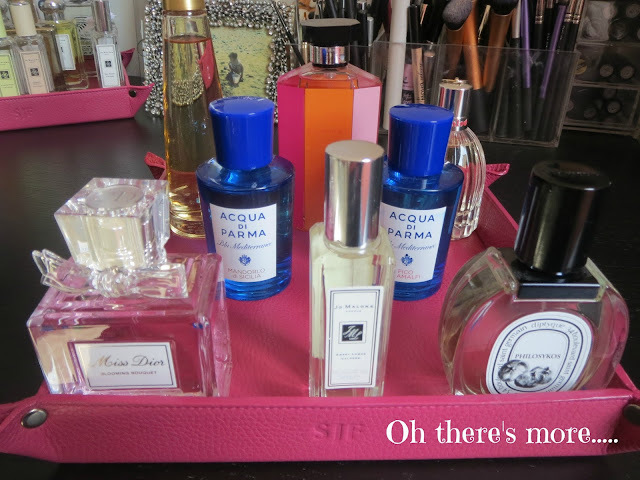 And I don't just have one tray of perfume, there is a second! I bought Stella Summer on description alone, I can't catch any of this perfume when I spray it! I love the design of the bottle though. I keep one of the trays on my dressing table right in the corner. They're so easy to clean which is great with the amount of cat hair that collects! The second tray sits on top of my ikea make up drawers on the other side of my dressing table. Do you have any pointless make up obsessions? Maybe like you can't stop buying lip glosses even though you hate the feel of it or a certain eye shadow colour you know you can't pull off? Please tell me I am not the only one with a strange obsession! Do you see any of your favourite perfumes in my collection? Make Up Firsts and Fails Tag!